dreamt first about resort in farming field to treat insomnia. my once colleague in QRRS, Chi, a shameless bureaucracy career chaser, also in the countryside camp and likely surveillances me. then dream being a rebellion, with his 2 comrades, one titled cloud blade, 云锋 in Chinese, one titled period blade, 节锋 in chinese. the latter likely betrayed to and murdered by our enemies. I with cloud blade probing the missing of our comrade, among risky mob of rebellions and counter rebellions. its a pale morning since last drizzling night. I missed 2 breakfasts and kept awake earlier not to miss it again. yesterday PSBC local branch buzzed first time out of its HQ that its his last call before possible seizure of my salary card if I unable return credit deficit in time in last chance. if so, I would have to make a living alone beside salary offered by my once and long time employer, QRRS, an old style SOE, whose poor salary forces me to loan and miserable. 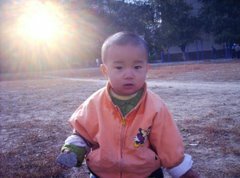 I yet configured the ethic aspect of my financial status, but likely change occurs now, for surviving myself and my son. finding a job always daunting challenge for me, used to be casual and common. lower salary or lower skill intensified, that's likely a balance I will strike. God, its not easy for a man in his near 50s to be relocated. grant us life we enjoy so far. grant us balance between personal achievement and social contribution. dad, God, bring me sooner my Royal China to boast sinking PRC. bring me affordable entrepreneur for better life and time management, affirm me my building endeavor of China Empire, as well as cyberspace startup, valuable. dreamt of Islamic woman and fantastic scene. yesterday dined in a Islamic restaurant we haunted a lot and where I especially amazed by the hostess for her exotic beauty. in dawn dream I with the woman on a giant dam control unit and watching huge flow. I then on guestbook chose a heroic name as my name. then in a comic movies scene I chatted with female partner and experienced adventure. I again chose a historic name as my signature. I tried to blog but its too cold to open my pc right the moment after woke up. I napped again and in dream I wording details for blog in dawn time. when I actually started to blog on my chromebook half put on, most memories gone. last week busy with reinstall os on woz’s 2 pcs which lagging and likely hacked by government of PRC. lots of data, esp. online games, await to restore before we enjoy the fruit of a cleaner system. one of my credit card issuer, ICBC, warned of possible freeze my salary card before I fully return its credit due. I reported danger of the scenario to my hometown relatives, ie. my elder brothers. they likely mobilized to try to help, but so far result unknown. I badly need ￥9000 injecting to my bad debt to re-enable recycle of my credits quota and living cost, while my relatives insisted disabled all my credit card forever, for they don’t want to respond with my debt, esp credit anymore. I love my credit card, my websites online. they engage me with workload and manageable, allow me define my maker from nothing, like what my dearest dad did and enable all my destiny on the earth. God dad, please allow me cultivate on my vested land. allow me grow vegetables in my backyard. I’m now in my prime light while aging makes daily work more definitive personally. rid me off anxiousness of living expense, focus me on building and expanding cyberspace reality under Holy affirmative. bring me sooner my Royal China for the better China Empire in 1109 years ahead. bring me my girls and offspring that’s vital for my destiny. dream of my new wedding ceremony. my passed parents prepared me for new marriage. my 2nd elder brother trusted to manage custom and celebration team from the village, Zhudajiu. I saw my parents-in-law, my fiance, who is shy free and visited us the night before the rite. I saw clear I never saw her. last week banks' call for returning credit deficit were frequent. I buzzed my 2nd brother, kid brother and 2nd sister. my kid brother, likely the only one who affordable to help, always felt frustrated upon my conversation or appeal, refuted me 2 times, but finally called me back last Saturday. he got all my credit card number, likely trying to cancel them. he said banks' call disrupted him a lot and can't bear it without actively dealt my problem. God, no matter how large the problem, I always look my business bright in the end. but I really don't know how to return the ¥70000 in my so pinched situation. this month my salary in 3 serie months as low as ¥1800. I had to borrow to live up. my son woz last Friday night visited my dorm. we ate grilled mutton as scheduled. I don't feel like to put him in panic of economic slump. he more and more silent upon my trying insistently preserving elegant life we deserve. God, dad, I want get through hardness alone, with hope and prayer. God, I'm confident my debt, ¥75000, is not a big sin. help me re-verifying it. this spring chill lingers, and put my dorm quite uncomfortable. bring me sooner summer heat with life we enjoy. bring me sooner my Royal China for grace. save Japan from earthquake suffering, save my crowned Queen, Asoh Yukiko, and show us the union fastens our 2 nations in close eastern Asia. dreamt of my once brother-in-law. this week I restored my 3 dynamic sites powered by web apps. cleaning data costs some time, but godaddy's cpanel quite helpful and setup quick. yesterday I demonstrated my work to my son, woz, Hope of China, and confessed how I love my own hut of communication, my own publication like the website. this dawn I dreamt visiting my passed eldest sister's house. my eldest sister committed suicide in her prime time, likely after long time disharmonious with her husband. I love my sister very much and my old family in debt of my sister for her marriage with a worker whose life much easier than ours in early toughest time of PRC. I dreamt my siblings gathered to visit my eldest sister's house. on a fork road stop before we reach her house, we met our brother-in-law, a widow then in dream and re-married in reality, trying repair his tricycle. his son, my cousin grew up his teenage in my old family after his mother's passed by and under my parents' custody with his younger sister, offer a silent helping hand in the house and delayed there after most of my siblings left for his mom. I tried to blog after got up but memory scattered and I napped again. then dreamt I was forbidden to communicate with the brother-in-law, but get a "matb" certificate of permission to create access with the past. I also dreamt I on my website considering published a worker's poems. he is an employee of my once workplace, QRRS. his poems mostly old styled and mirrors PRC old custom in communism. I likely then attending a site owners' seminar. last week PSBC bank urged me to return overdrawal of my credit card. I contacted my senior middle school alumni and one of them offered me ¥1000. even I badly need ¥5000 to facilitate fluit of my credit, I can't blame my alumnus' poor kindness. I hope step by step break barrier of locked credit. God dad, my web site, esp powered by database and web apps, is my contribution to the world voices. pl help me maintain it and let it booms. grant me renew my hosting plan graceful and reasonably secured duration. grant us the cosy workspace we enjoy now. bring me sooner my Royal China, my girls and my offspring in time. dad, let my dearest eldest sister stays in my heart and forever in love. let the coming history witnesses the blessing her concerned.